As you might be aware, Don receives quarterly payments from PPL (Phonographic Performance Limited) for royalties when Slade records are played on the radio / tv. Tracking payments that are due from the US and Canada has always been difficult. It was with surprise that Don has been approached by a company who represents several UK artists and collect performance related monies on their behalf for tracks that are digitally streamed in these countries. 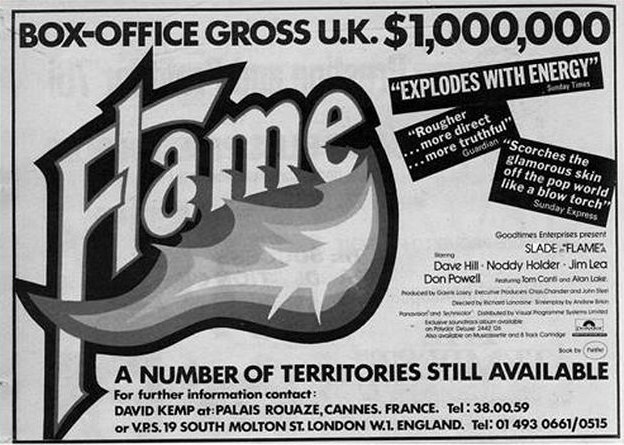 Good to hear that Don might at last get rewarded for the airplay success that Slade (still) receive in the US and Canada. So, exactly who were the noisy buggers on the 'Slade Alive' album? You might remember the Richard Cox interview we published a few weeks ago (click here to read it)? 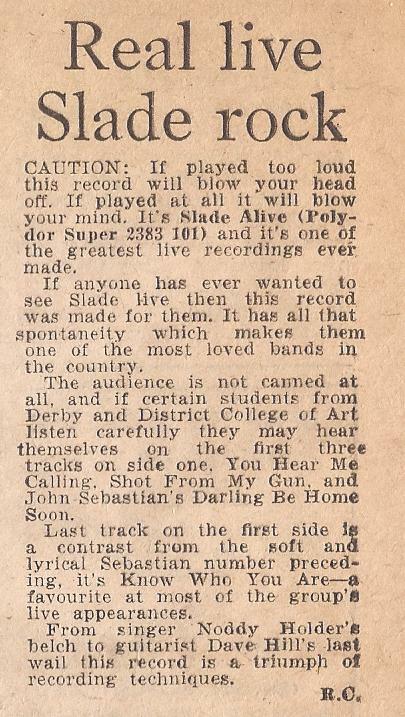 Richard has kindly provided the website with his portfolio of work for 'The Saturday Page' and we have found his archive reviews from 23 and 30 October 1971 - when he attended the recording of the 'Slade Alive' album. The 'Slade Alive' album was recorded over three concerts at The Command Studios, Piccadilly, London on 19-21 October 1971... It is well known that the tapes used in the final cut of the album almost entirely came from the first concert - on Tuesday 19 October... 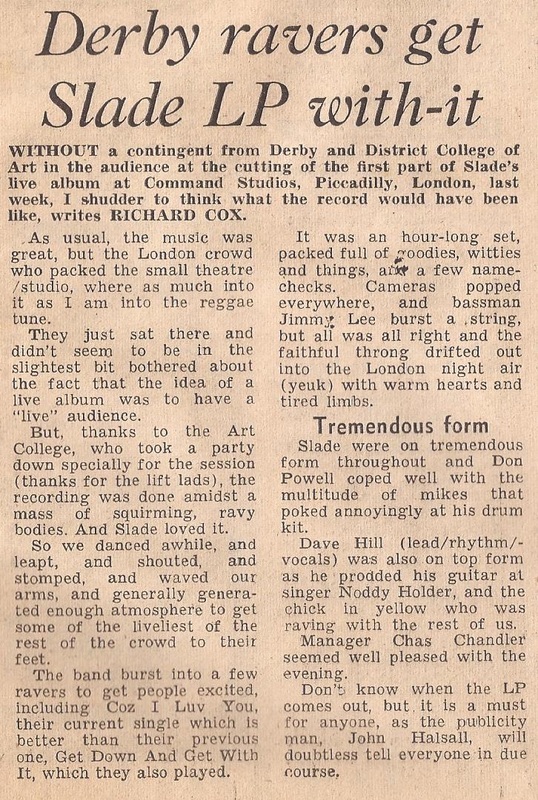 This was the date that Richard attended, and Richard's review confirms that the noisy buggers, who contributed so much to the 'live' feel of the album, were not Londoners, but were from Derby! Without the Derby contingent in the audience the album might never have been the classic that we all know and love. 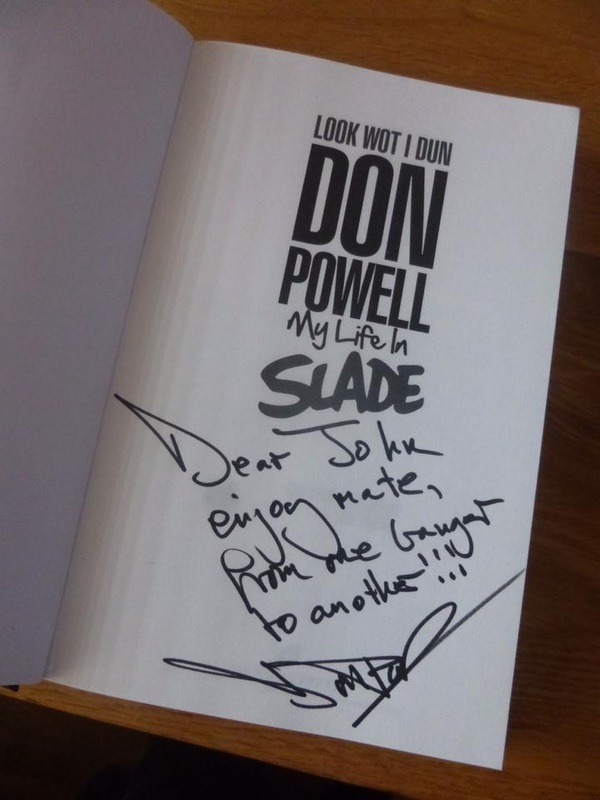 Don's Webmaster passed on a copy of Don's biography 'Look Wot I Dun - My Life In Slade' to John Keeble, Spandau Ballet's drummer, at their gig at the O2 on 17 March 2015. Sax player Steve Norman said: "Wow. Do you know Don? How is he? I used to see him all the time when he lived in Marylebone". Singer Tony Hadley went on to say: "Please pass my regards on to Don - he is a great guy." He said "I remember the first time we met them.... I thought WOW it's Slade!" 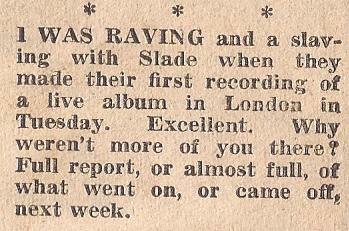 Tony asked how Don and Dave were doing in Slade and whether they were touring at the moment. 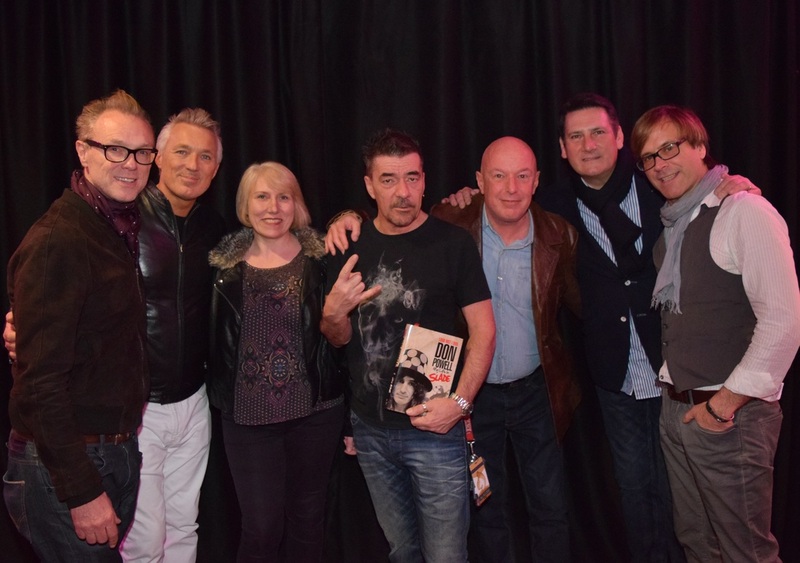 Webmaster reminded the boys of a famous drinking session both Slade and Spandau had together when they were at the Montreux Pop Festival in 1984.... Tony said "That wasn't the only time we met - we met them loads!" We are pleased to report that Don himself is really chuffed to be re-united with a pic that was taken of him and his idol, Paul McCartney, over 30 years ago! 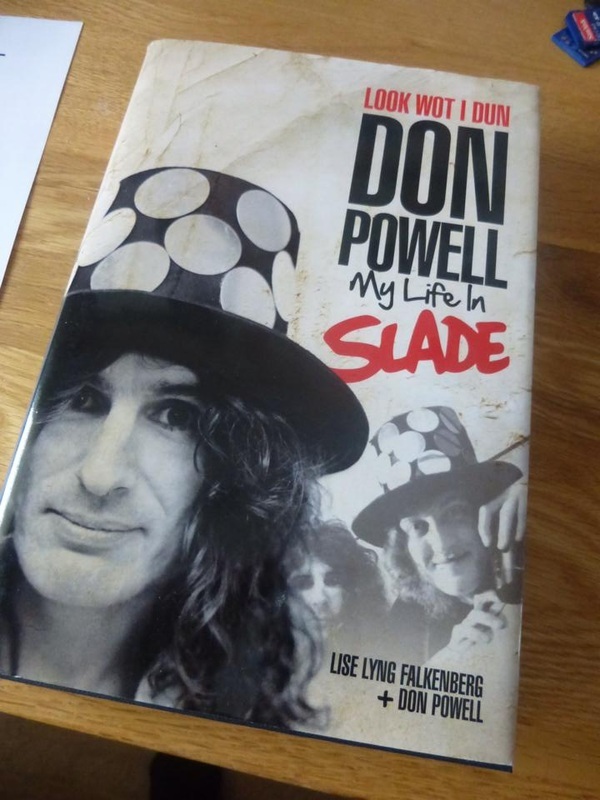 The background to the pic being taken is mentioned on page 210 of Don's biography: 'Look Wot I Dun - My Life in Slade'. 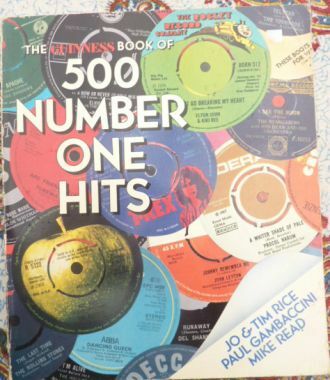 In 1982, Don and then girlfiend Carol "went to the Guinness Book of Records 500 Number Ones party. 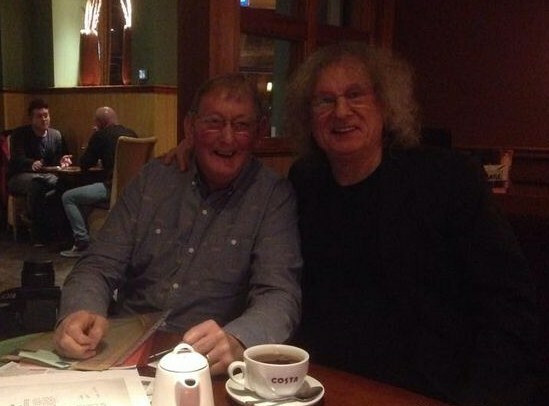 Jim and Dave were not present as they went the year before, but Noddy was there as well as the McCartneys". "The party was held at Abbey Road," Don recalls, "and there were no cameras allowed. Carol had one in her bag anyway, so I went up to Linda McCartney, saying 'Would Paul let me have my photo taken with him?' and she said, 'Of course!' and had Paul come over. She took the camera off Carol and took the photo." Unfortunately, the photo mentioned above, taken by Linda, is still missing. However, Don was delighted that M.P.L. 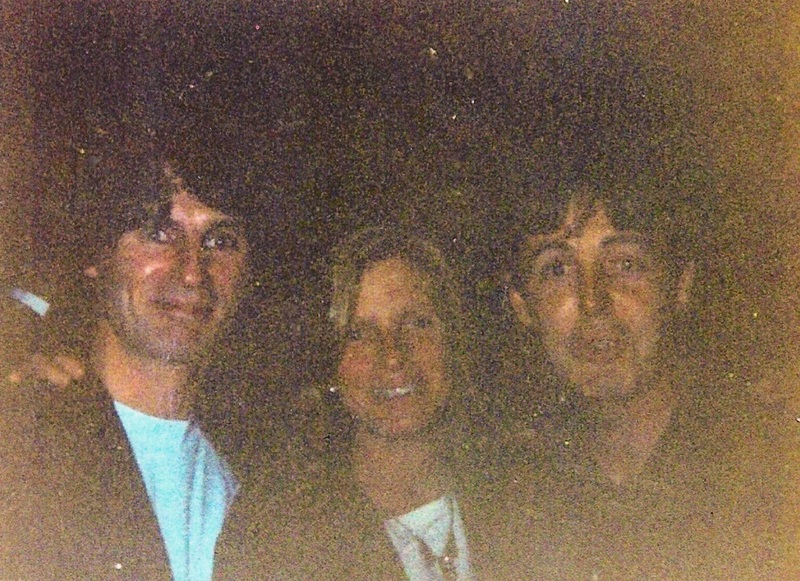 (McCartney's office) have sent him a copy of a second pic that was taken (by Carol) of Don, Linda and Paul. Although Don admits that the picture is not a good copy, it is treasured by him as it records the day he met his idol. 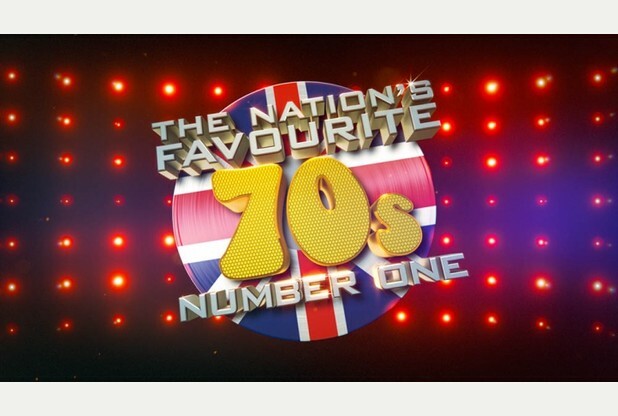 Slade featured on 'The Nation's Favourite 70's Number Ones' show on ITV1 on Thursday 5 March 2015. To see which position one of their singles was rated in the Top 20 click here and log on to ITV player. 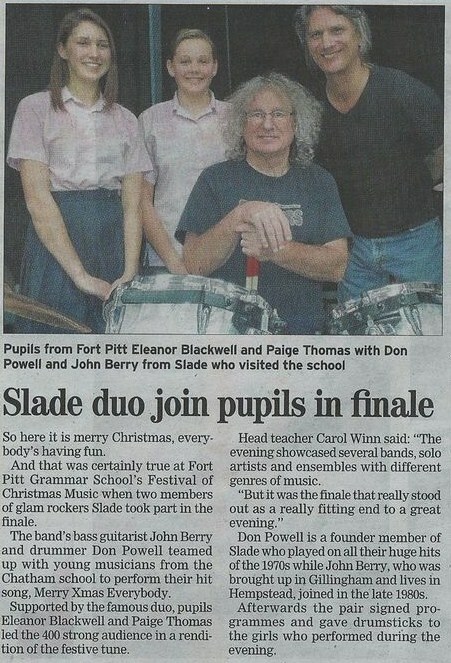 Following the success of Slade's sell out show at the Robin in Bilston last December - they are back again this year! Book early to avoid disappointment... Click here for details. 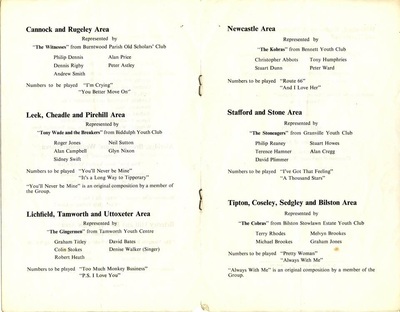 More memories of Don were posted in this week's Black Country Bugle (thanks to Chris Selby for sending this to us). 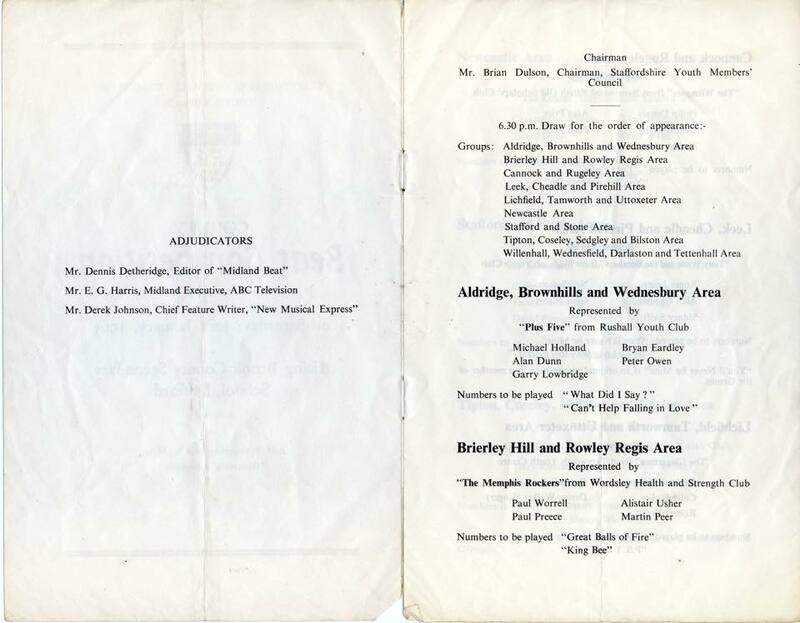 Keith Parton wrote to the BBB detailing how he and Don attended a local talent contest in 1960 - at the Wolverhampton Gaumont - where Danny Cannon and The Ramrods competed against Steve Brett and The Mavericks (a band Noddy Holder was to oin a few years later). 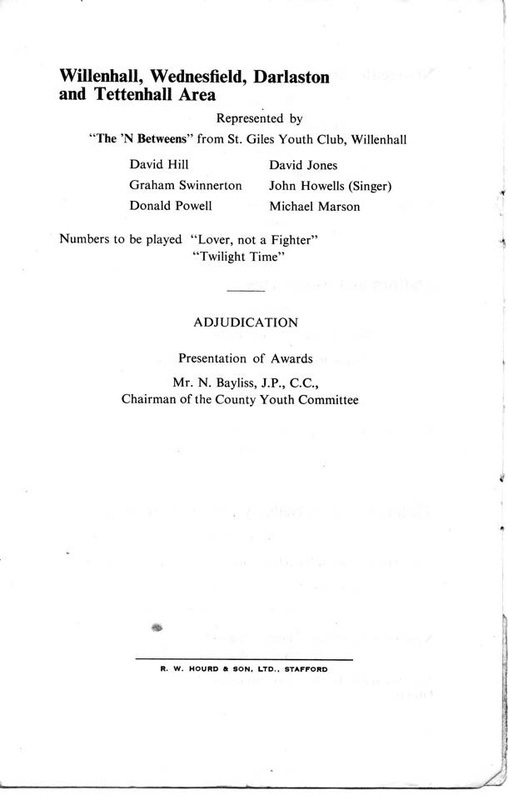 Interesting to see a girl called Jan (Parton) in the accompanying... Jan is the sister of the letter writer, and Don's mate (Keith Parton).... In 1973 Jan Parton married David John Hill and became (and still is) his wife! Of course the 'N Betweens won! Interesting to see that the press, and the programme, were both quoting Graham Swinnerton (who most fans will remember as Slade's Tour Manager from the 1970's) as being quoted as a band member! 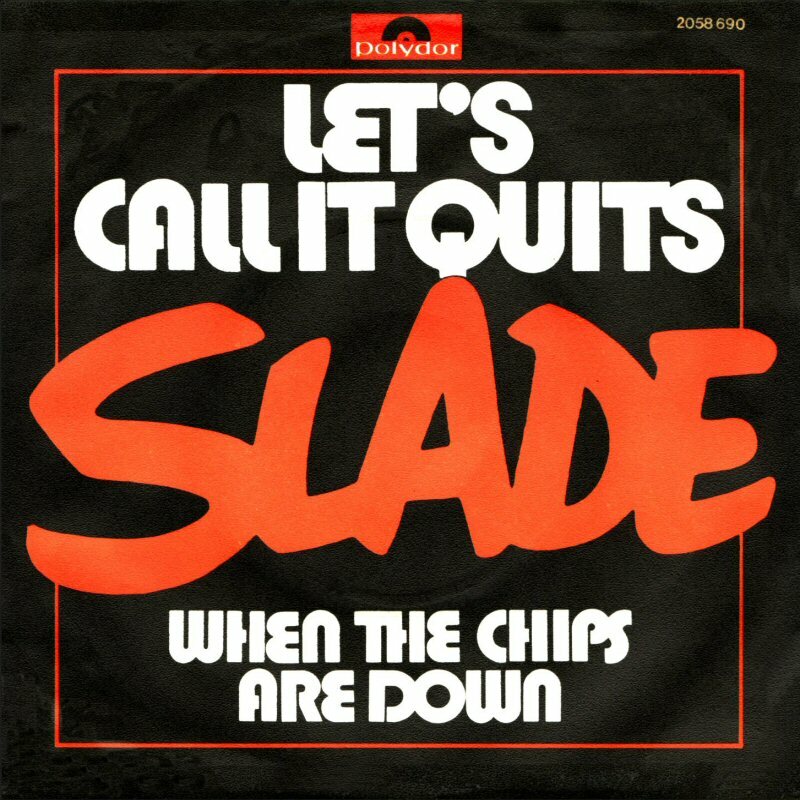 It includes a mystery... On 31 August 1976 Don mentions the band went into Advision Studios in London and started to record (what was to become) 'Whatever Happened To Slade'. Don mentions a track being recorded called 'Les Lay'.... The mystery is whatever happened to this track? Was it renamed something else and used on the album??? Any ideas? To read the diary click here. 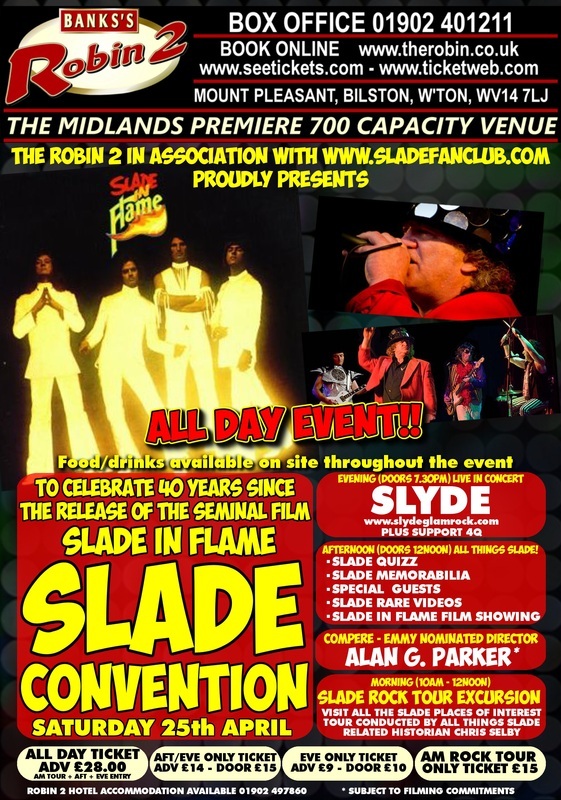 The Robin 2 in Bilston is holding a fan event on Saturday 25 April to commemorate the 40 anniversary of 'Slade In Flame' being shown in British cinemas. The event includes a tribute band concert and a screening of the movie on the big screen. Don has confirmed that he will fly in from Denmark and join fans at the event. 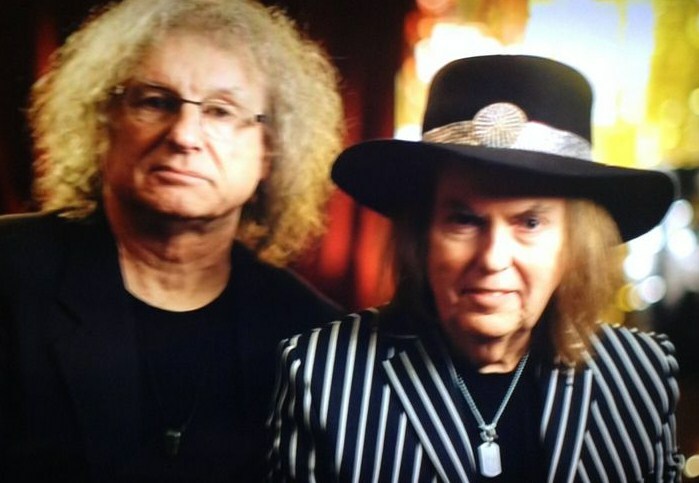 There are some rumours circulating on social media that Slade will be doing a 'Farewell' tour of Germany in November-December 2015.... Just to advise that the 'farewell' announcement is totally false. 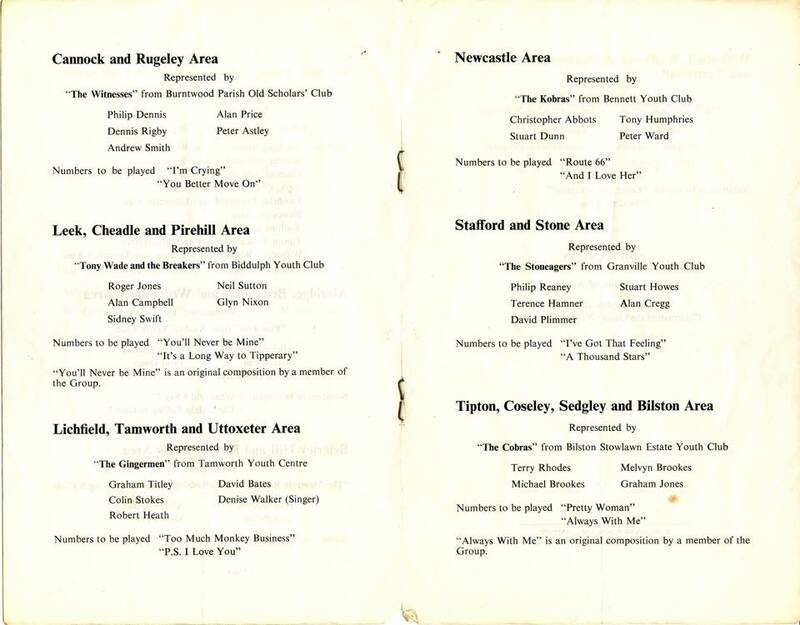 Thanks to Terry Rhodes who has allowed us to publish his old programme from 30 January 1965 when the 'N Betweens took part in a contest at youth club.... 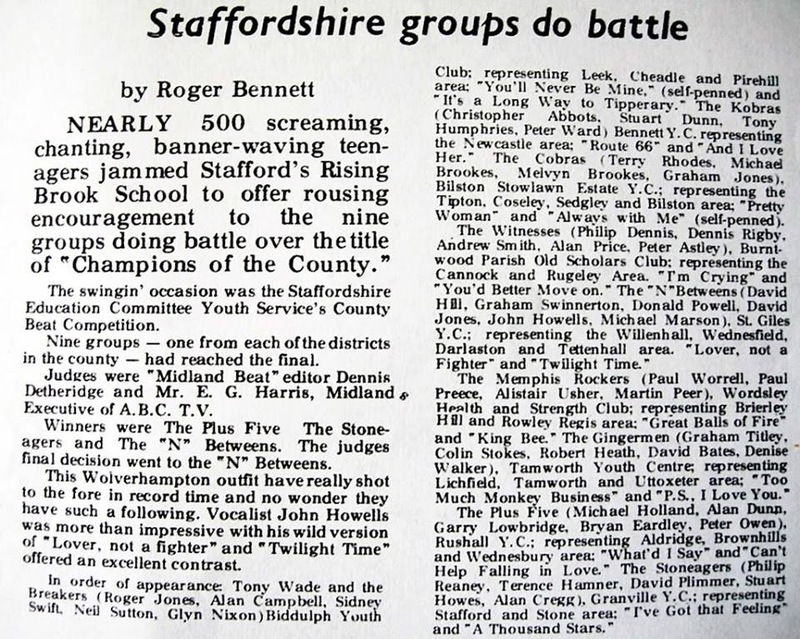 The picture in the programme is of The Cobras - a band who Don was friendly with (and Terry was in). 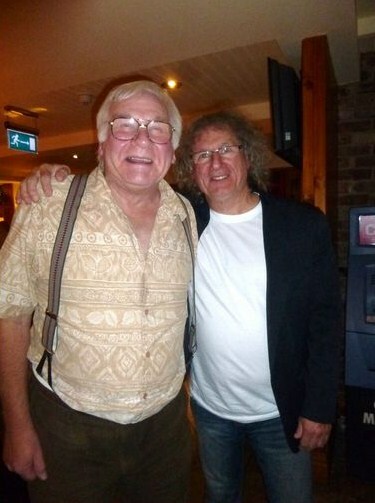 Don's mate Mick Brookes is on the left in the pic and Terry is picture standing next to him. 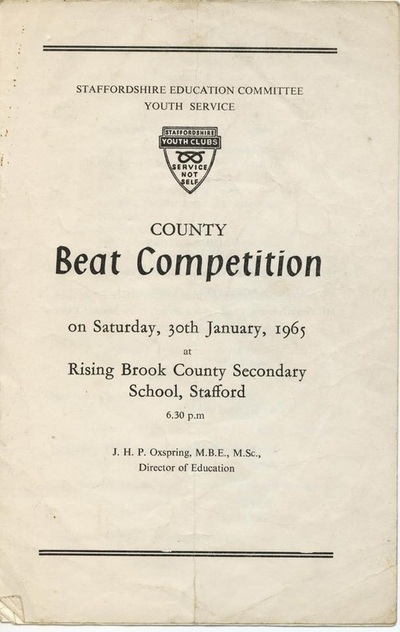 Terry said: "The pic in the programme is the band I was in (The Cobras). We were popular on the local circuit doing five part harmony. We used to practice at Mick's Mom & Dad's house. His brother Melvin was also in the band. We did lots of venues the same as The 'N Betweens. We broke up after about two years with Mick joining the Californians, going our separate ways. I continued drumming for about 35 years. I gave a copy of the programme to Chris Selby, who passed it onto Don himself. Actually spoke to Don via email two days ago! Also please see a photo I have of the Vendors with the van. Don't know if you have seen it before - it's a brilliant photo!" 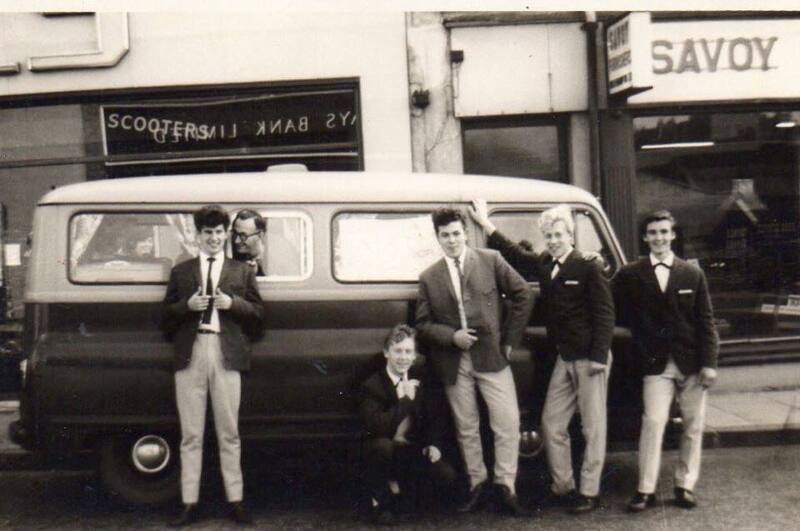 NB Don is the first person on the left in the pic - if you didn't recognise him! 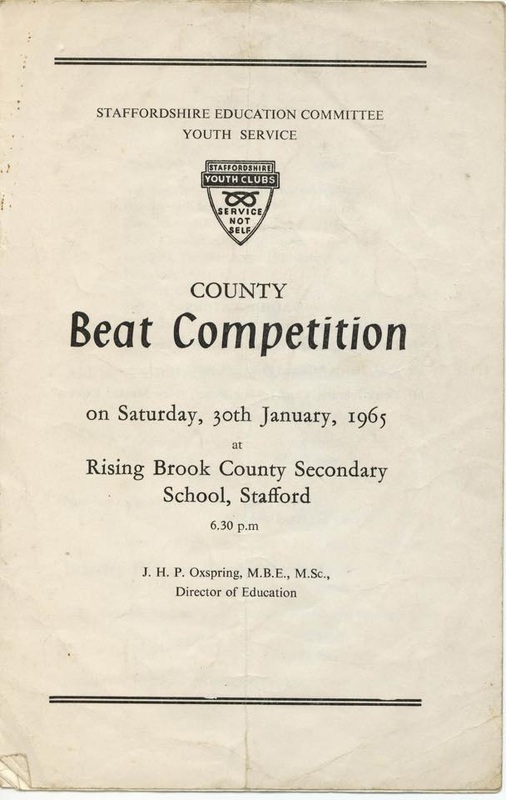 Many thanks to Terry for letting us publish the programme and The Vendors photo... We just need to find out how the 'N Betweens did in the talent contest! 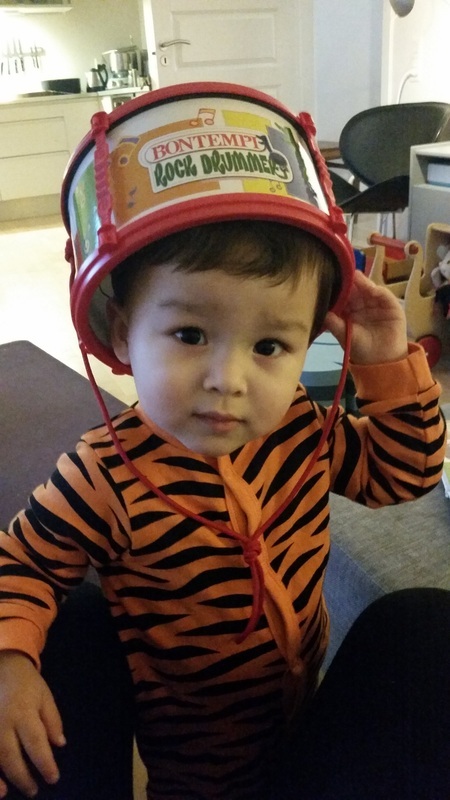 Congratulations go to August, Don's Grandson, who won the 'Carnival King' competition at his nursery. Following in his Grandfather's footsteps we think! 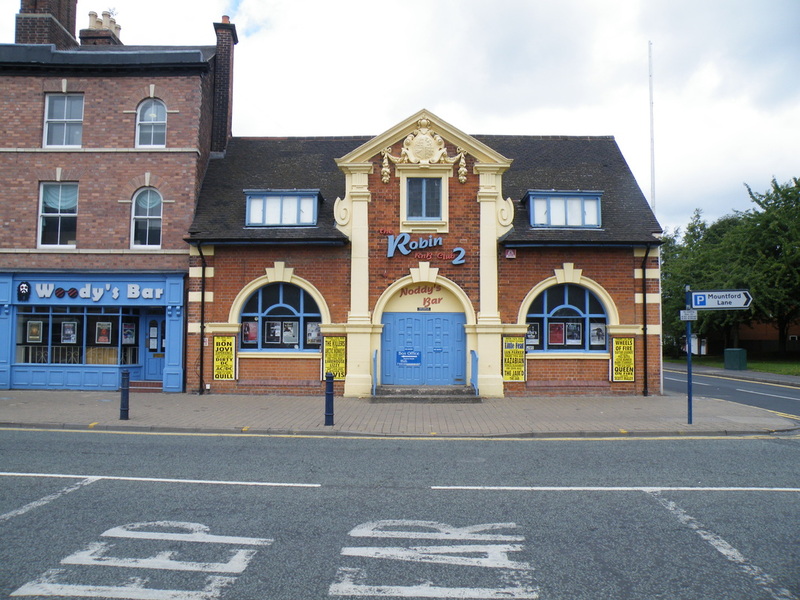 Slade to perform at Wolverhampton Racecourse! 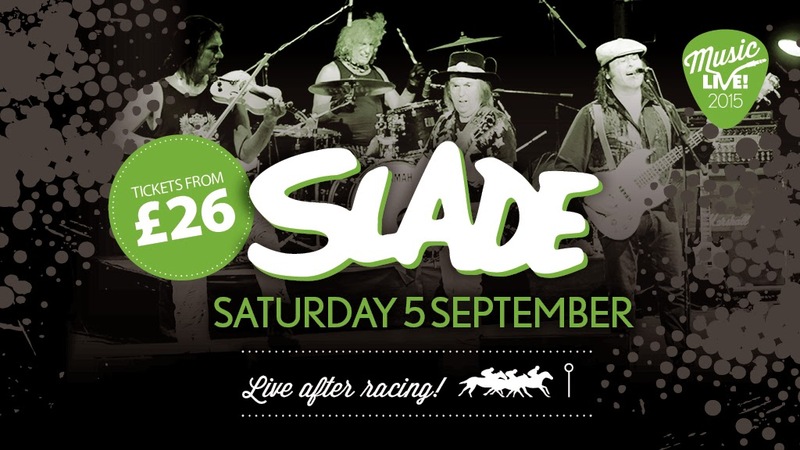 Slade are to perform at Wolverhampton Racecourse on Saturday 5 September. For information click here. 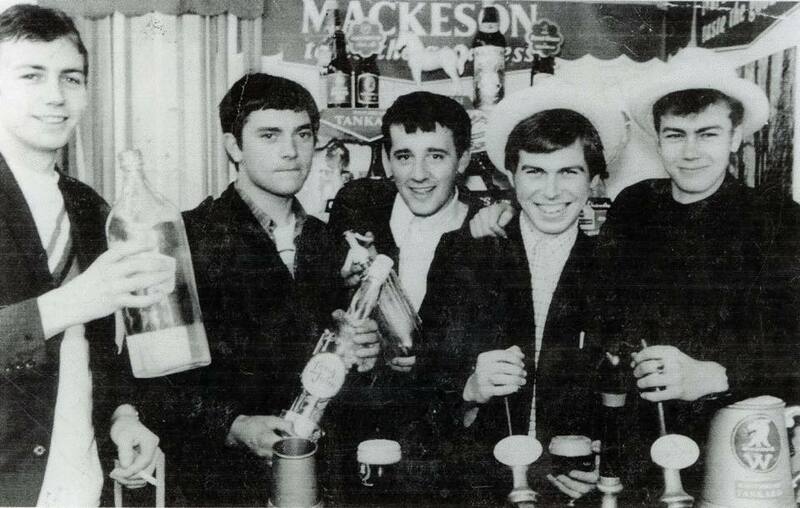 A new pic of Don with The Vendors has come to light - circa 1963. 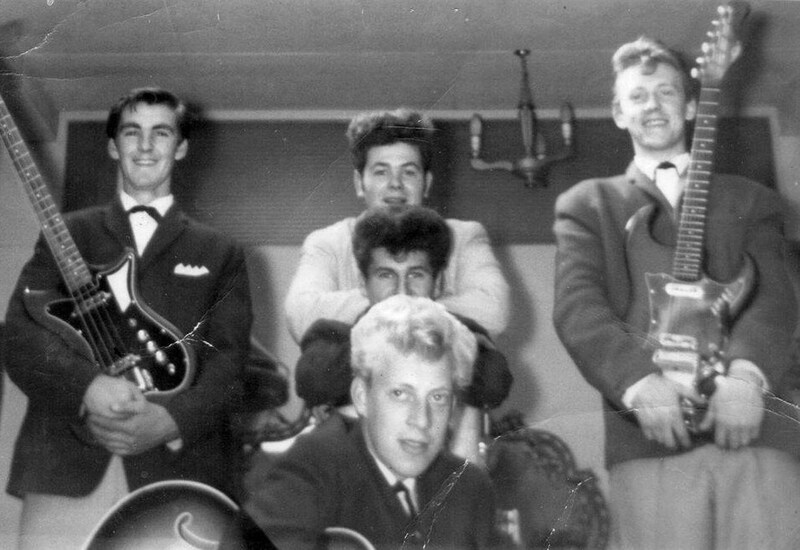 The pic shows Billy Diffy, John Howells and Johnny Shane standing, with Mick Marson at the front, and Don, with the quiff, behind. The picture came from Johnny Shane... 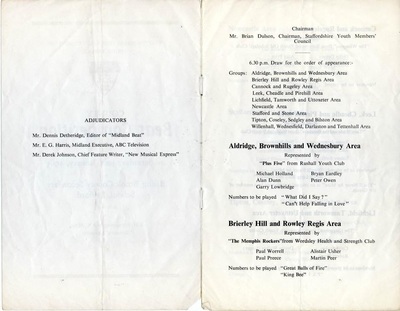 Thanks to Slade Historian, Chris Selby, for sending this copy to the website. Congrats to Derek & Chris! 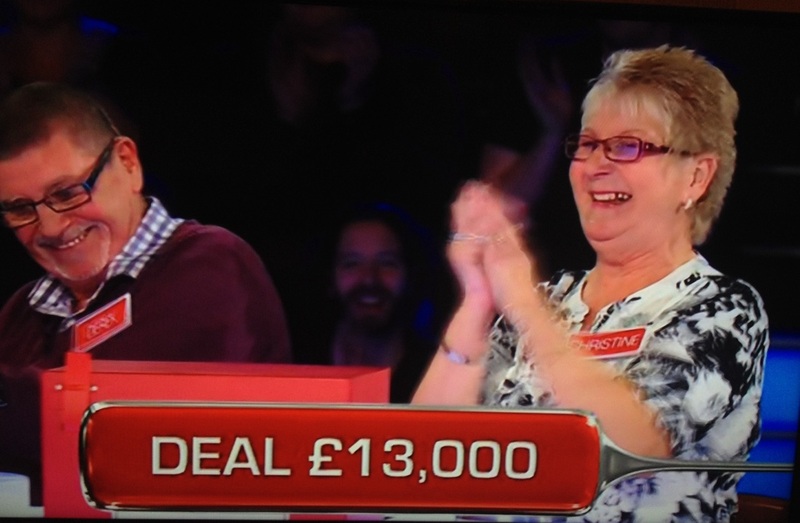 Congrats to Don's brother Derek, and his lovely wife Chris, who won £13,000 and an all-inclusive holiday to Jamaica on Deal or No Deal (Friday 13 February). Don is pleased to advise that his brother Derek, and his sister-in-law Chris, will be appearing on the game-show 'Deal or No Deal' next week. 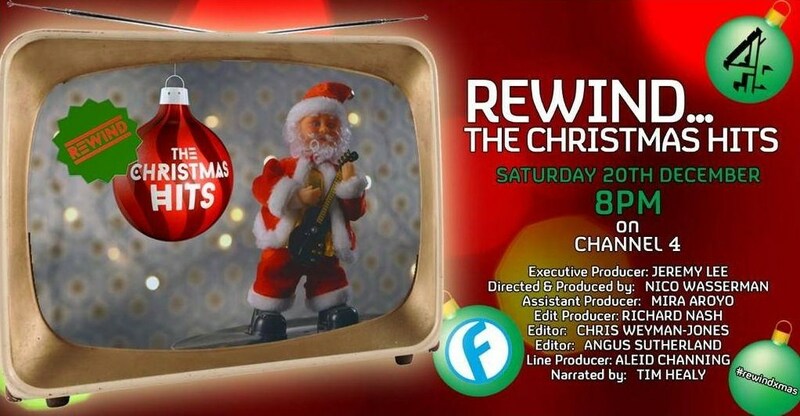 They recorded a series of programmes on 7th December - and they will be shown next week. Apparently Derek and Chris appear in every episode next week - and then actually 'play' the game itself in Thursday's episode (Friday 13 February). Good luck Derek and Chris.... When Don found out he asked that they give his regards to Noel Edmunds! 'Deal or No Deal' airs daily on Channel 4 between 3pm and 4pm. 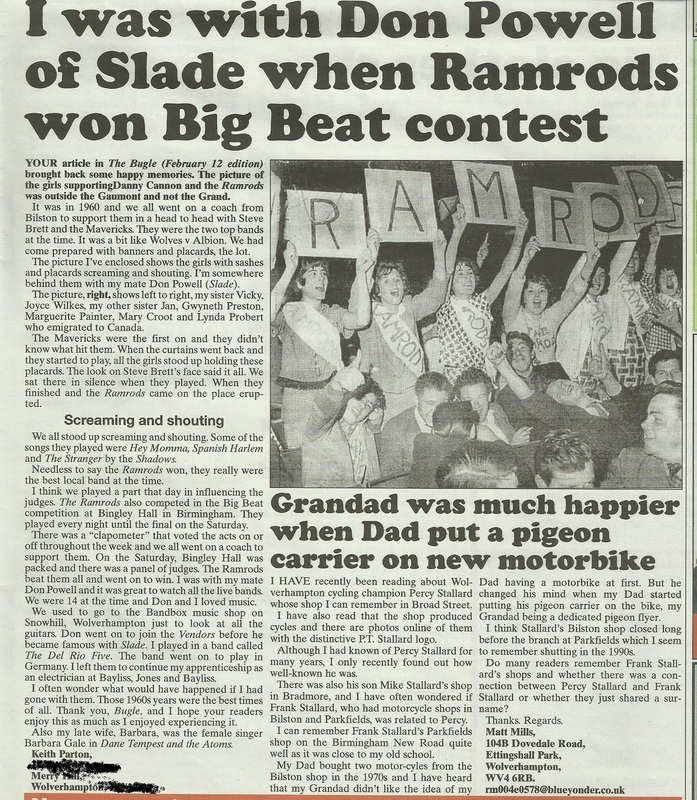 Don says that journalist Richard Cox was one of the few reporters who "championed Slade from the start". 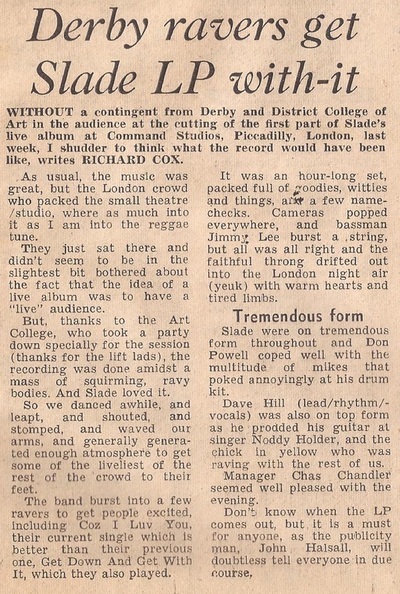 Richard worked for the Derby Evening Telegraph and would heap praise on the band in his concert reviews from the early 1970's. We are grateful for the opportunity to interview Richard all these years later, and find out exactly what he saw in Slade at the time, and why he was certain they were destined to succeed. Kieron is independently making a film whereby famous rockstars are interviewed about the first ever car they owned. 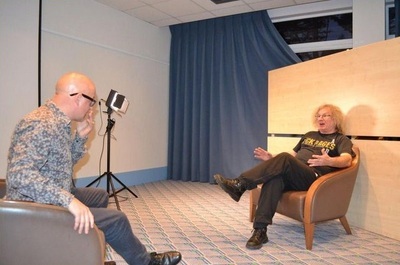 Don was filmed before Slade's Portsmouth gig in December, and he talked about the first car he ever bought - a Mini. 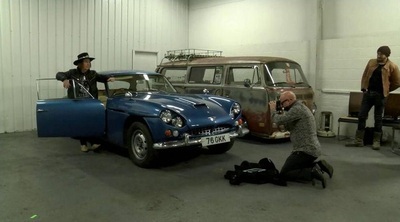 Kieron has now interviewed Dave Hill - who talked about purchasing his 'YOB 1' plated Jensen CV8. NEW!!! - Don's 1979 Archive Diary - NEW!!! Don has once again trawled through one of his old diaries and written it up - to share with everyone. This time he has chosen 1979. To read all about the recording of 'Return To Base', Slade's tour of Yugoslavia, the band selling their famous Rolls Royce - and to find out exactly what Don thought about recording 'Okey Cokey'.... Click here. 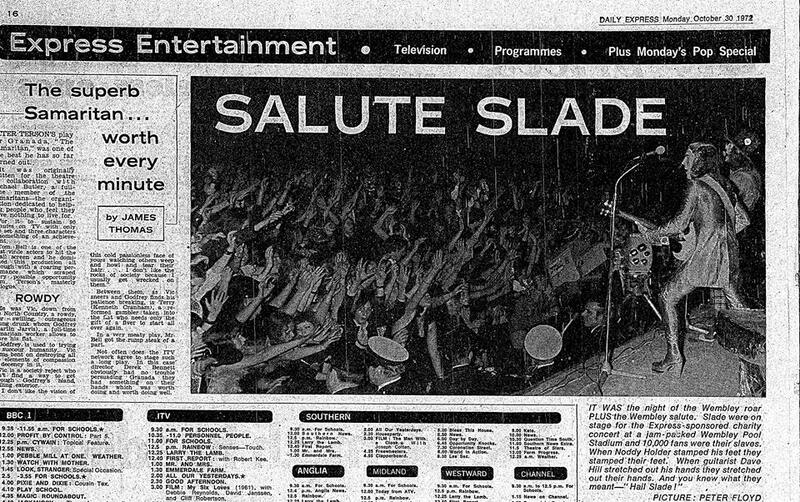 On 28th October 1972 Slade took a break from their European Tour to fly home from Germany to perform at the Stars Organisation for Spastics Show at Wembley Empire Pool. Blackfoot Sue were the support band. "Our good friend, and mentor, Kim Fowley has just died. 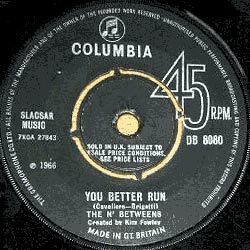 He discovered and produced Slade's first ever single in 1966 (when we were called The 'N Betweens) - “You Better Run”. He saw at Tiles club in Oxford St in 1966, and came backstage and told us: "You’re gonna be big stars, and I want to produce you". He took us to Regent Sound in Denmark St, Soho (another story) to record the track - which was released on Columbia Records - Dec 2nd 1966 - record No DB 8080. 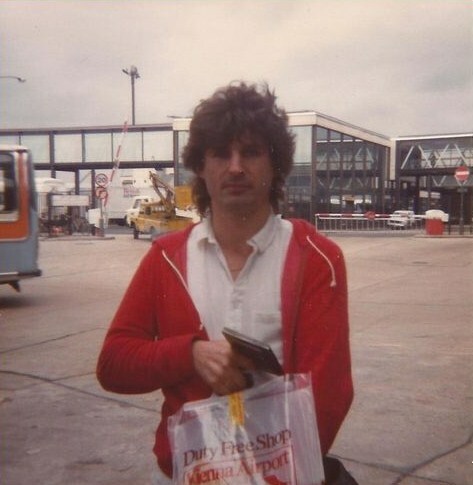 We never saw him again until 1973 on our first tour of America. We were in Los Angeles, we met him at the Hyatt House - he was producing The Runaways at the time. He came over to us and said "I told you that you were gonna be big stars. Don has emailed about about the sad death of Dozy. 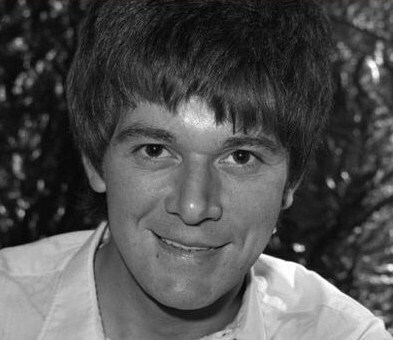 Dozy had the real name of Trevor Davies. Apparently, he felt poorly, and his wife took him to hospital - where he was diagnosed with the dreaded cancer. 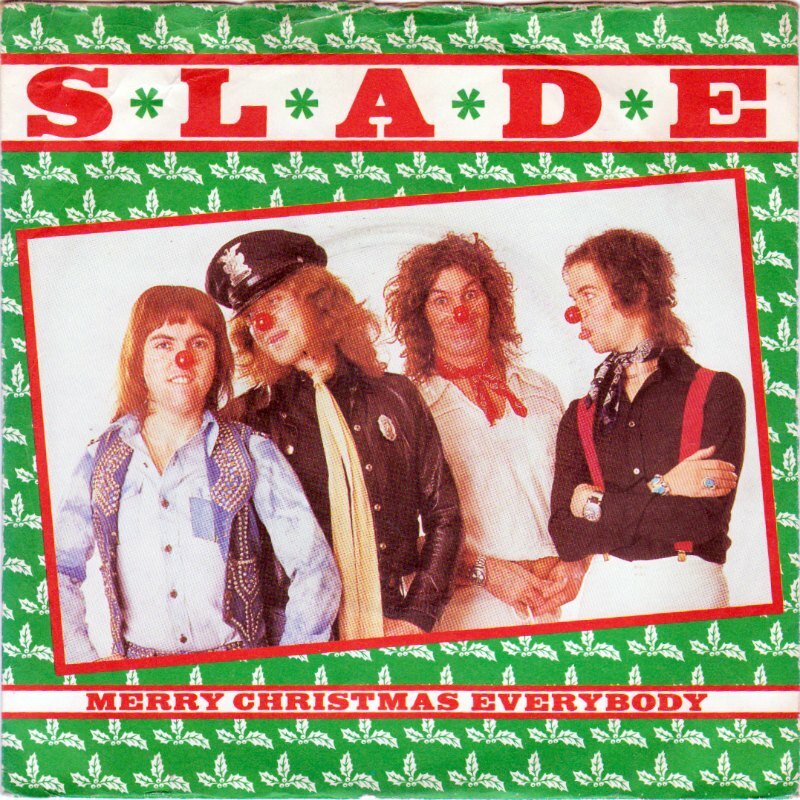 Slade have done many shows with the guys and we always have a great time with them. 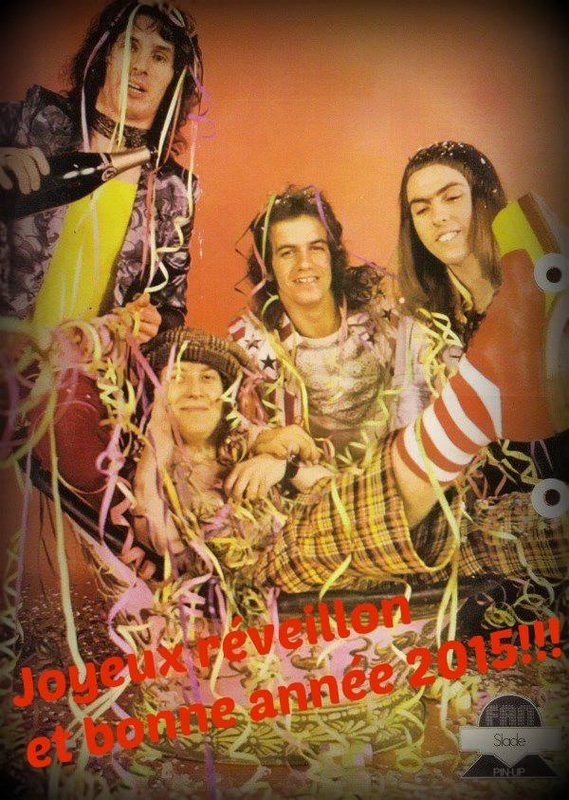 Slade researcher Gary Jordan says: "The performance comes from a French tv show called 'Sports en Fete' - where the band also performed 'Coz I Luv You' and 'Take Me Bak 'Ome'. 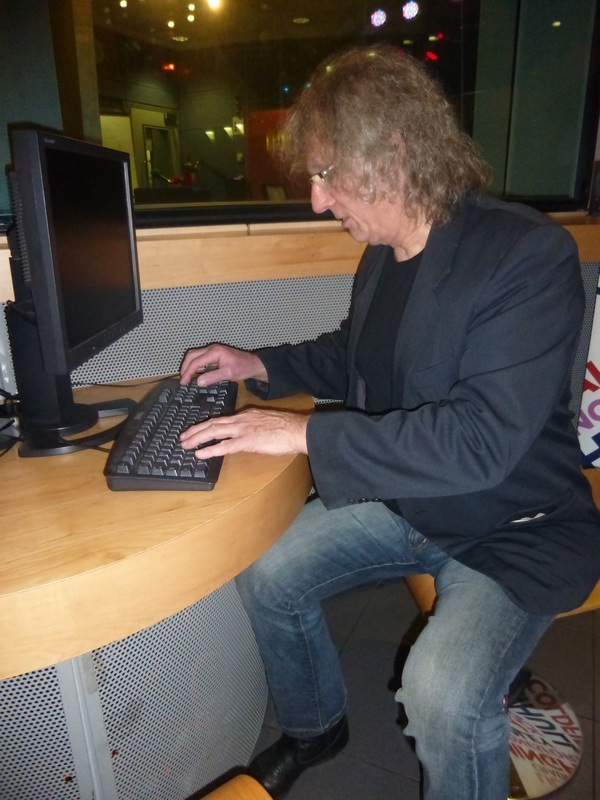 The programme mixed sport with music and Slade performed 15 minutes from the end of the show." Thanks to John Berry for providing the newspaper cutting from his local Kent newspaper. 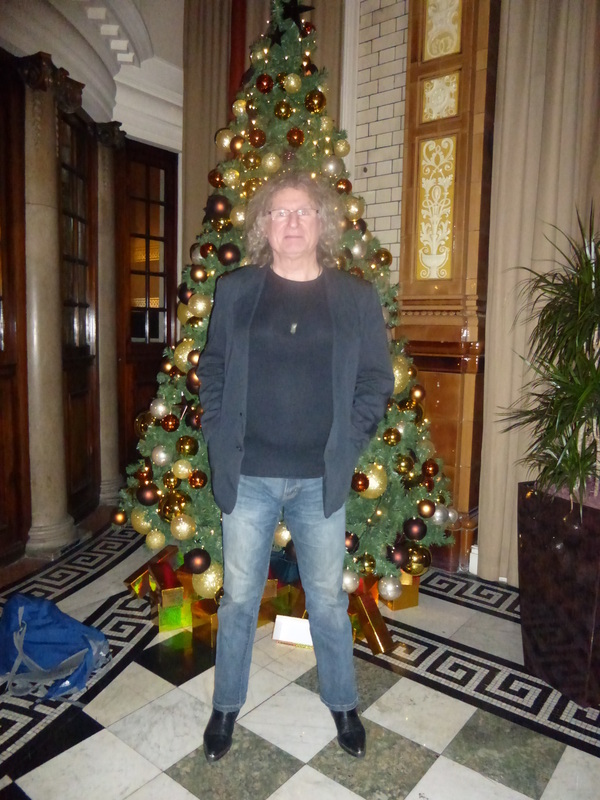 Here I am getting ready to start ‘gigging’ again in a few weeks time. Hope you’ve all had a great Christmas and I wish you all a wonderful New Year. Anyway, thank you all (from the bottom of my heart) for your tremendous support, you all still amaze me!!!!!!! See you all during 2015 somewhere - whether it be the UK or the depths of Russia. I tip my cap to you all. Please could you say to all readers of my website "You all have a great New Year's Eve. See you in 2015. 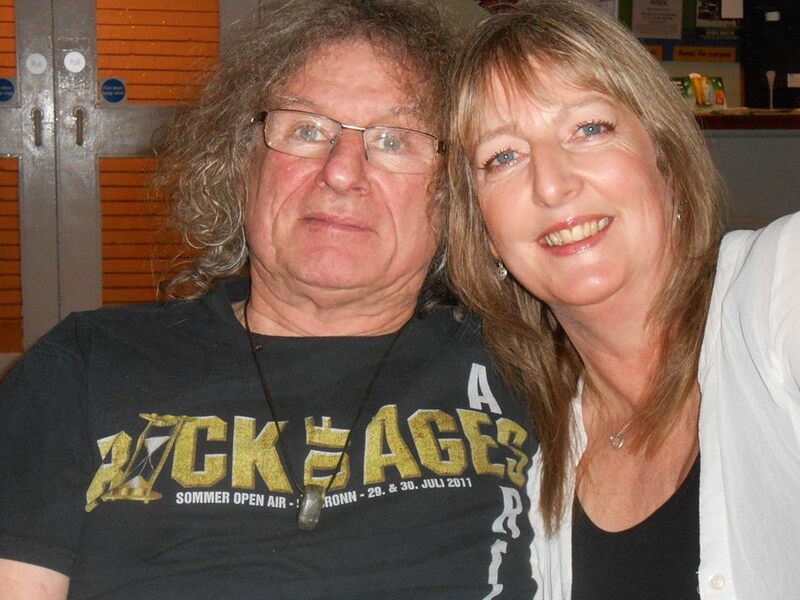 Love Don XXXXXXXXXXXXXXXXX"
"Thanks to all the readers of this site for your support with everything Don and Slade related over the last year. The website has been running two years and tonight it looks likely that we will reach 68,000 'hits'. Thank you - and have a great 2015". Just to thank you all for reading my website over the last 12 months and supporting me with all the Slade gigs, my book events and charity work. I have had a great 2014 - and am looking forward to all that is planned for 2015. I am at home in Denmark now, and will be having all the family round over the holiday period to celebrate... It's slightly unusual in Denmark that the 'big' day is Christmas Eve, rather than Christmas Day... but we will be celebrating with a traditional British Christmas Dinner! Enjoy yourselves and have a peaceful and lovely time. After 40 years.... Theresa gets her photo with Don! Theresa was in group of girls that used to track Slade down in the 1970's when they were recording at the Olympic Studios in Barnes, and wait to meet them. "It was lovely to meet Theresa. She reminded me how her and her band of girls would wait ages outside Olympic to meet us. She told me how they used to have to all cram in to the telephone box there to shelter from the elements while they waited... This was the telephone box that used to smell of urine, as an old tramp would sleep in it at night! Theresa said at one stage her girls went on to liking Queen... (Queen also started using Olympic Studios, after we got to know them and recommended the place). However, they soon reverted back to Slade as they found Queen totally unapproachable as they would never chat to the girls like we did!" Whilst in Portsmouth recently Don spent some time with film producer Kieron Maughan, who is making a film project called 'Rock Star's Cars'. 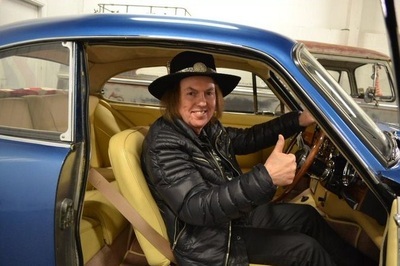 Kieron is making an independent documentary, which he intends to sell to mainstream tv, about Rock Star's cars - and in particular the first car they ever purchased. He has filmed numerous Rock Stars over the last few months. The list includes Suzi Quatro, Ginger Baker, Brian Poole, John Coghlan, Chip Hawkes, Marky Ramone, Andy Fraser... And he has now added Don to his list! We will update you on the project in due course. There are plans for a book to accompany the documentary! The editor of this site gratefully acknowledges permission to use copyright material on this web site. We thank, amongst others: Malcolm Skellington, Fran Skellington, Chris Selby, Penny Irving, The Freeport News, Lise Lyng Falkenberg, Piotr Walecki, David Graham and Susan Wilson. 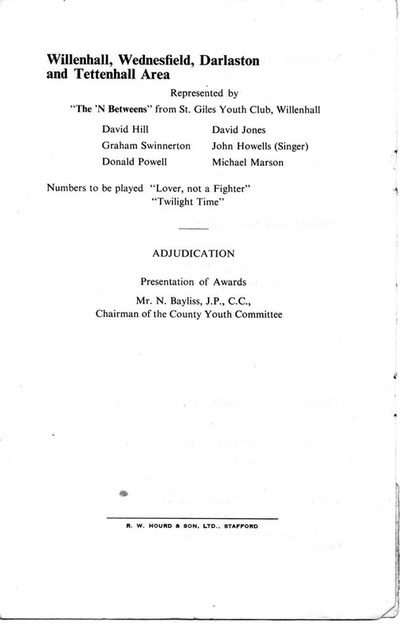 With the archive material every effort has been made to trace and contact copyright holders. If there are any inadvertent omissions we apologise to those concerned, and ask that you contact us so that we can correct any oversight as soon as possible. The contact details are given above.